I know some very dapper chaps back in London who would love this shop. I’ve walked by Goorin Bros hat shop many times but always figured it was a man’s place and not the shopping destination for the peacock of colourful clothing that I am. 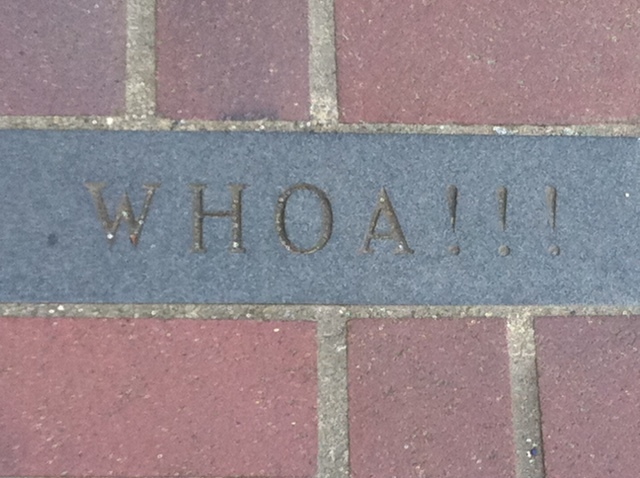 However, one day Cyndi and I were ambling about Yaletown and they invited us in for their cheese, wine and jazz party. 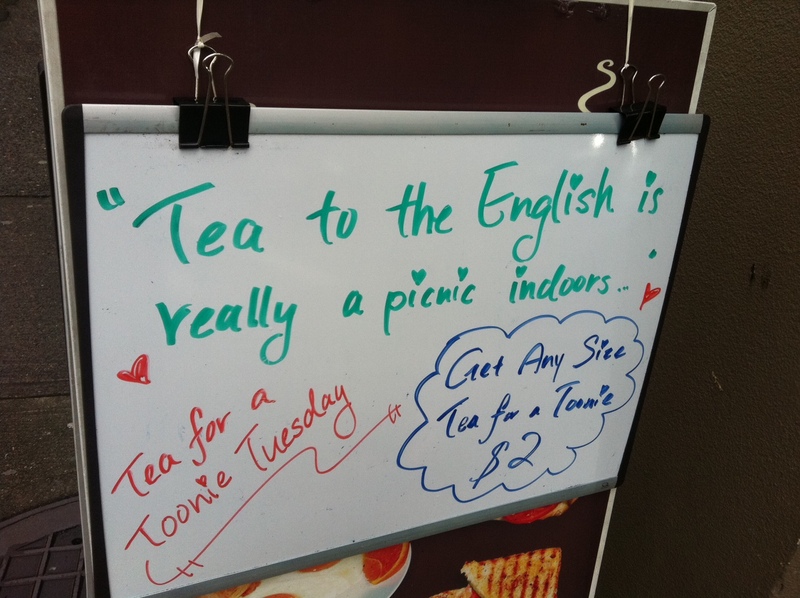 Very sweet and friendly. 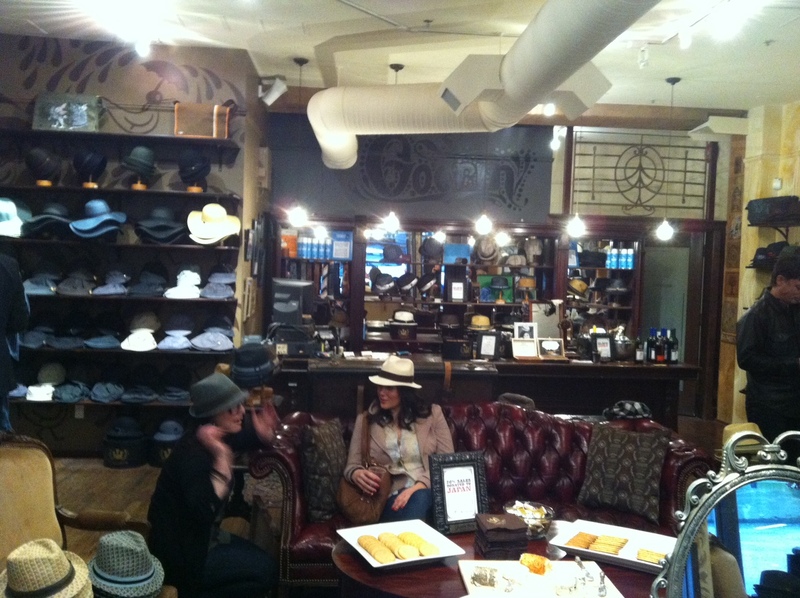 The store has a great layout and design, very old-school dandy gent with big leather couches and vintage furnishings. It’s very European and stylish, if you are going to pick out a hat, this is the store to do it in. Many styles and designs for the man who cannot leave home with a perfectly fitted fedora. Of course, it isn’t every day you get to shop with real live musicians. Apologies for the quality of the shots, le iPhone really is a terror. 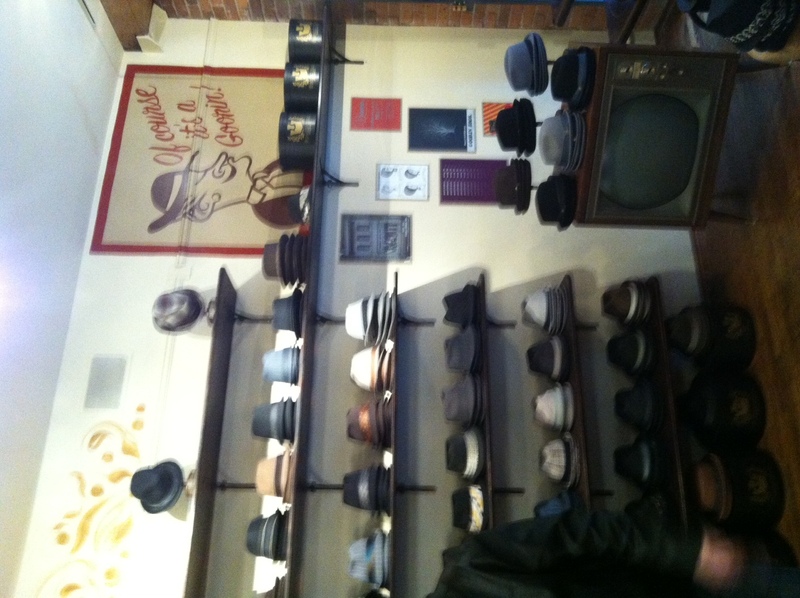 Visit http://www.goorin.com/hat-shops/vancouver-yaletown for some hat-tricks of your own. 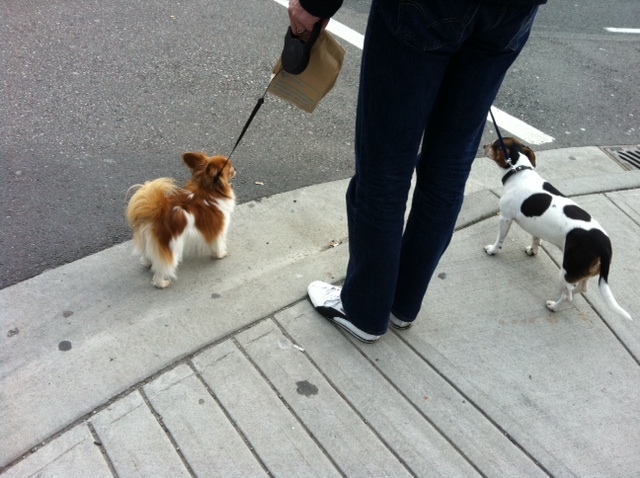 There are so many jokes about people in Yaletown and their ridiculously tiny dogs. I once saw a man take a dog out of a patent leather purse. Yes, a purse, not a man-bag. But this really is no joke. You are essentially walking a hamster. Get a real dog, you silly people. People say that the men with these dogs are most probably walking them for their girlfriends. Well shame on you for agreeing to such humiliation. One of my favourite places in Vancouver is the wonderful Raw Canvas in Yaletown. Not because of its concept, which is a painting studio in the back and a cheese and wine bar in the front. 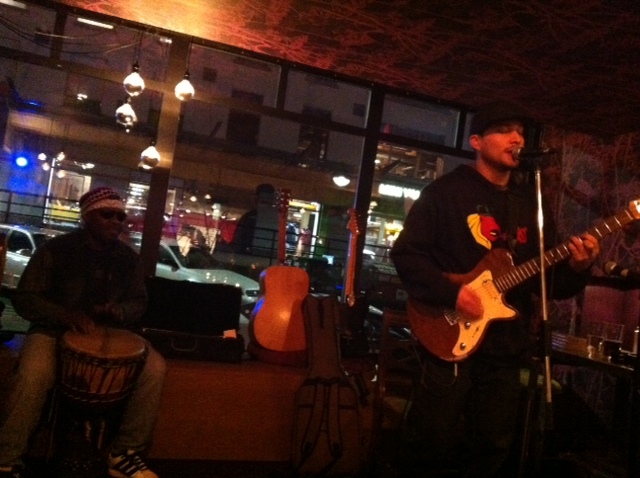 But because of its amazing open mic nights and live music. 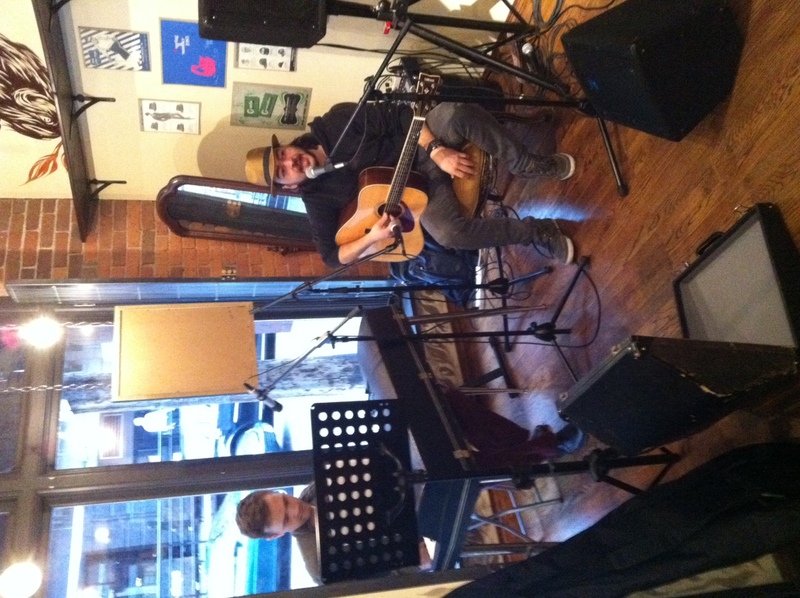 Especially Alex Maher, who plays with friends and new talents on Monday nights. A mix of hip hop, funk and soul, he is a beautiful performer and truly inspiring to watch. 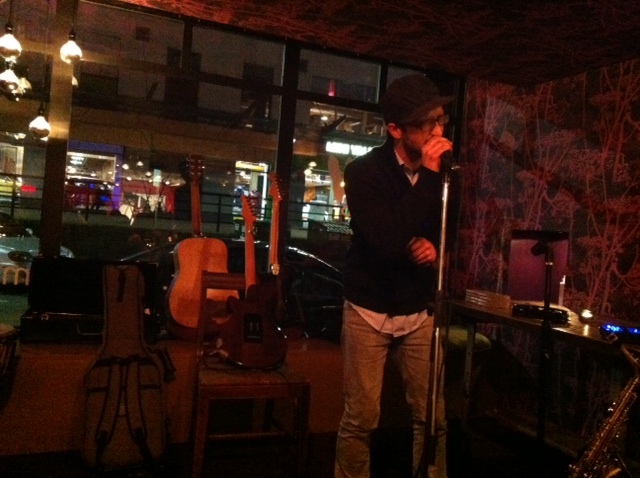 Alex Maher performing. Wait till he gets out the saxophone. My favourite instrument in the world, sensual, evocative and entrancing. Hear some of his music for yourself here. 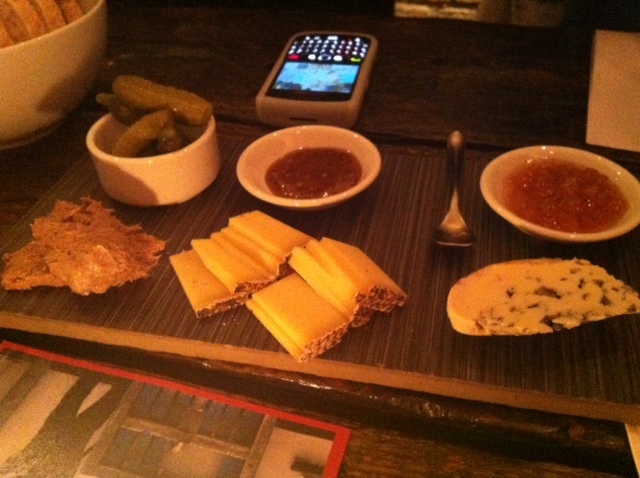 Of course I’d happily go to Raw Canvas for one of their fantastic cheese boards.